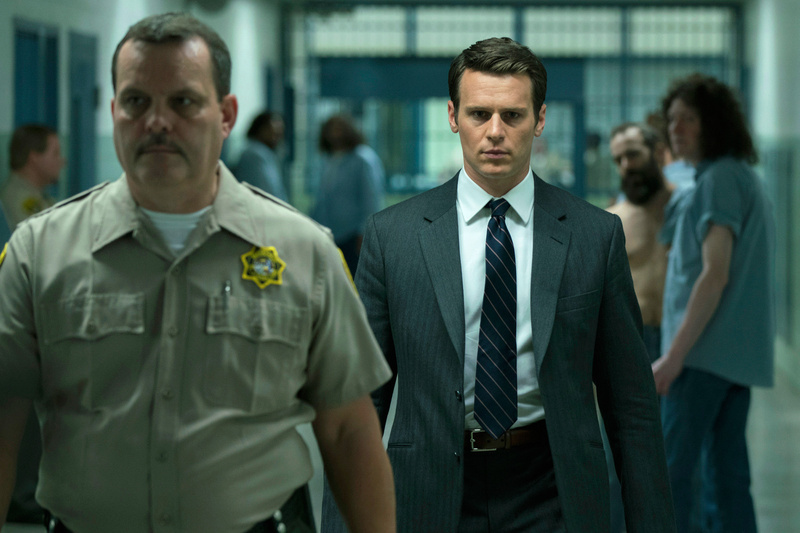 HOLLYWOOD – David Fincher’s new project Mindhunter is on Netflix. 1 The first episode came to David Fincher in a dream. That is to say he wrote the episode while he was asleep. And it tends to have the same effect on the viewer. Jesus Christ: we go to an exposition disco for crying out loud. You can tell it’s a period drama because the cars are all so clean. 2 The series is actually based on a book by famed FBI agent John Douglas. He was also the inspiration for Scott Glenn’s character in Silence of the Lambs. The book is great and well worth a read. 3 The problem with these real life dramas is the way Eureka moments are developed. Listen as the gang come up with the phrase serial killer after getting bored of the original term sequence killer. It’s like watching The Doors come up with the name The Doors in that film by Oliver Stone: Wall Street. 4 Despite this the actual Behavioral Science Group is well done. Anna Torv and Holt MacCallany are particularly good. Jonathan Groff I could never work out if I didn’t like him or the character he was playing. He seemed too much of an innocent, given his area of expertise. But as with all these shows they are lumbered with backstories that are almost inevitably dull. Mad Men was brilliant when it was about advertising and high class soap when it was about adultery. Likewise here, the show is noticeably better the moment they actually spend time interviewing or investigating the murders. 5 This could get better. Joe Penhall obviously made it with a long run in mind. The serial killer who hasn’t even got off his starting blocks yet is based on a real murderer who wasn’t caught until into the 2000s. So maybe the show is hanging fire. I’ll certainly give the second season a go, but it isn’t quite the must see that I was hoping for. For more FACTS click here.